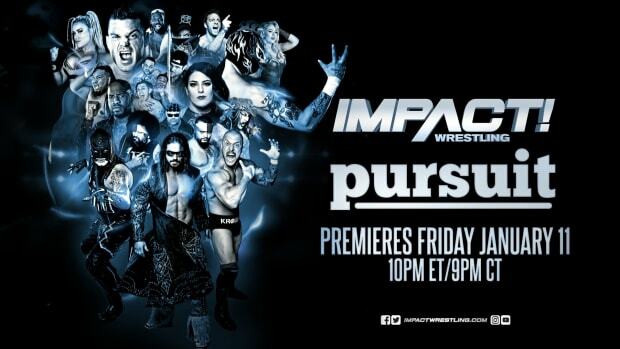 - Thursday&apos;s IMPACT will feature the final two matches in the annual Bound For Glory Series! "The Charismatic Enigma" Jeff Hardy will battle Samoa Joe in one featured bout, while Rob Van Dam goes against Bully Ray in other! The stakes have never been higher. Who will be eliminated and lose their chance at the TNA World Title? - Plus, whoever finishes the Series with the most points on Thursday&apos;s broadcast will earn the opportunity to select who they face in Semifinals at the "No Surrender" Pay-Per-View! Don&apos;t miss the culmination of the Bound For Glory Series on Thursday night on SpikeTV! - The broadcast will also feature an update on The Aces & 8s gang and the carnage they continue to unleash on TNA Wrestling! The war is on between The Aces & 8s and the TNA Roster, and the battle continues Thursday in the Impact Zone! Plus, how will World Heavyweight Champion Austin Aries react to what happened this past week? Tune in and find out! - Also, World Tag Team Champions Christopher Daniels and Kazarian are being forced to defend the gold on Thursday&apos;s IMPACT broadcast! Who will General Manager Hulk Hogan select to face the duo in the big title bout on SpikeTV? Don&apos;t miss it! We&apos;ll have exclusive live play-by-play coverage by Alex Barie here at WrestlingNewsWorld.com.